The last few “Big” FOX shows have all featured the lighter fighters and weight classes of the UFC. I am glad that the organization is using their larger cable audience to showcase what the ‘casual’ fan wants to see: Big dudes throwing big punches. FOX requested the Travis Browne and Fabricio Verdum fight for their airwaves and I don’t blame them, this thing should be a true test of each athlete’s mettle. Throw in the fact that this has become a Heavyweight Title eliminator with the winner getting a date with Cain Velasquez in Mexico, and aside from the JDS/Cain launch tilt, this could be the biggest fight on FOX to date. On to the preview! I was SHOCKED to see that Brad Tavares was the favorite in this one. Have you seen Yoel Romero? The guy is built like an early 80s Stallone and has some of the most decorated grappling chops in the division. The guy is straight up scary when the cage door closes. His strikes land with near nuclear impact! Sure, his cardio may not be something to hang his hat on, but who needs to be pacing their breathing when their opponent is asleep on the mat? Brad Tavares is as solid as they come but he is VERY decision prone. His last six fights have gone to the judges. When you are facing a human ballistic missile like Romero, I don’t like a decision inclined fighter’s chances to be conscious for the final bell. Tavares has never been finished in his career. Romero will change that. Romero by TKO. I don’t remember the last time a fight screamed “scrap” like this one does. Both of these strikers will throw any one of their limbs with reckless abandon. They will happily trade a punch for a punch until someone is counting sheep. Safe to say, this one should deliver on all accounts. As an unabashed Cowboy fan, it was great to see him get back on track with a thunderous KO of Adriano Martins on the last FOX card. Still, as a Cowboy fan, I fear for his well-being as he is entering the cage against an absolute lethal weapon on Saturday. Edson Barboza’s leg kicks give me nightmares and I only watch them on TV from a relatively comfy couch! Can you imagine having him standing across from you in the cage? When he throws a leg kick, the guy has perfected that slapping noise that makes you want to toss up your dinner whenever you hear it connect. Vegas has Barboza as a slight favorite and I tend to agree with those odds. If this thing becomes the slobberknocker that I think it could, Barboza has a bit more pop on his strikes and could end this thing quick. Even with Edson’s lethal combinations, Cerrone is the more seasoned fighter here. He has seen the deep waters before and he could easily wear Edson down with crisp striking and better overall MMA grappling. If I had to pick, I have to ride with Cowboy here. He will stay outside and pick his points, grinding out an electrifying decision. Cerrone by decision. Even though these ladies are two of the biggest names in the women’s division, they are fighting for their MMA relevancy tonight. Both have had their arms snatched by Ms. Rousey and are looking to remain atop the rankings with a win on Saturday. Each woman put the undefeated Champ in some sort of trouble, but as with everyone else, could not stop her signature move from ending the fight. Carmouche is 1-1 since her loss to Rousey, with a rousing KO under her belt and then a lackluster decision loss to new number one contender Alexis Davis. Like others in the MMA media have stated, I am not convinced that training out of a garage will allow you to reach a truly elite level in today’s MMA world. Carmouche is tough as nails, but there is no doubt that Miesha Tate gleans more from her cohorts on a daily basis. Whether it is her dubious boyfriend Brian Caraway or her stints at XTreme Couture, she is clearly training on an entirely different stratosphere than Carmouche. I see this fight going three rounds, but it will end as Vegas predicts with Tate hammering her way to a decision. Carmouche is the more muscular of the fighters, but Tate hits with a legitimate intent to maim. Miesha will rebound of her loss to Rousey and earn a dominant decision win while inflicting plenty of damage along the way. Tate by decision. I could use this space to tell you how both of these guys are top tier Heavyweights and we are going to be treated to a back and forth affair in the Main Event, but I won’t lie to you. I fully believe that Travis Browne is going to steamroll Fabricio Verdum. 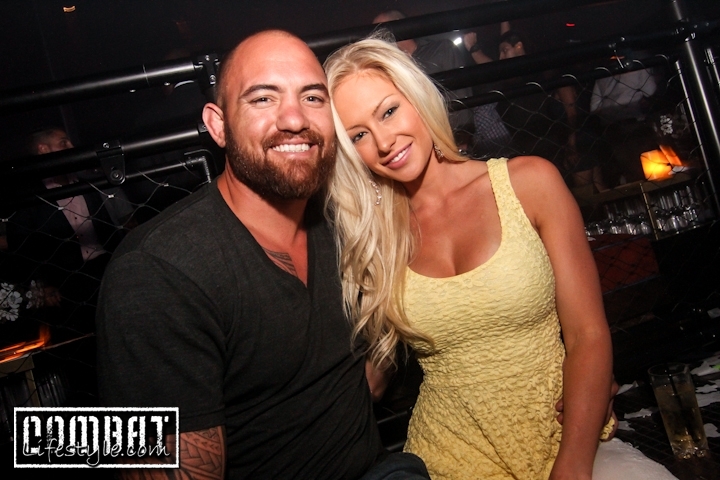 As skilled and battle tested as Verdum is, Travis Browne is simply a new breed of fighter. He is an athlete first and a martial artist second. Now, that may rub some people in the industry the wrong way, but it is the simple truth. When you look at the guy you can tell he wasn’t built in boxing gyms or on wrestling mats, he has that bounce in his step that only an AAU basketball player possesses. He has dismissed legends of the sport with relative ease and has found no opponent too formidable for his relentless attack. Alistair Overeem is a better striker? Okay. Let’s put him to sleep with a devilish front kick. Josh Barnett’s catch wrestling is second to none? Alright. Let me rain elbows on his temple until he forgets his what he ate for breakfast. Travis Browne is a sponge. He is constantly absorbing information at Jackson’s gym that is only going to make him even potent in the cage. His demeanor has changed over the last few months as well. For a while there, he sported that ‘happy to be here’ attitude, but ever since he has gotten a whiff of that title shot he has become a determined force of nature. Fabricio Verdum may very well be one of the best Heavyweight grapplers on the planet, but this isn’t a jiu-jitsu match. Browne is stronger, faster, and younger. 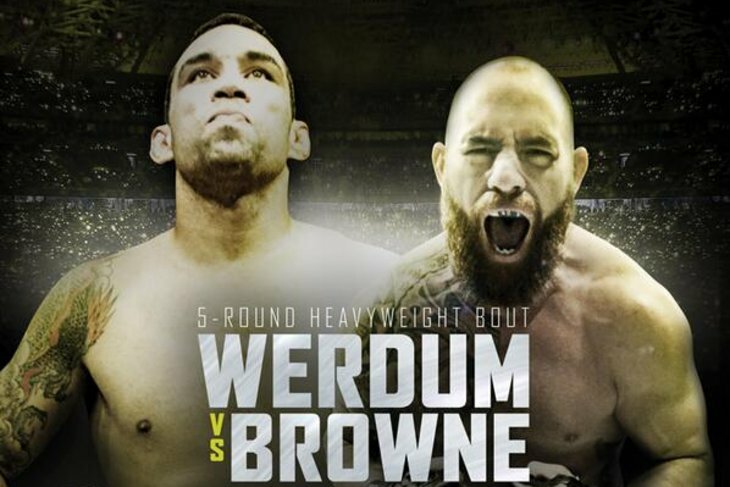 Browne will use his reach and speed to land that big shot on Verdum and earn himself a title shot against Cain Velasquez. Browne by TKO. This entry was posted in Commentary, MMA, Opinion and tagged Miesha Tate, mma, Travis Browne, UFC, UFC on Fox. Bookmark the permalink.